I love a little sweetness in my bread. 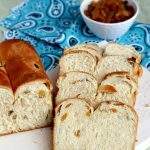 I am always tempted to buy a loaf of cinnamon raisin bread when I am shopping and every time I do so, I realize how expensive that tiny loaf of bread is. 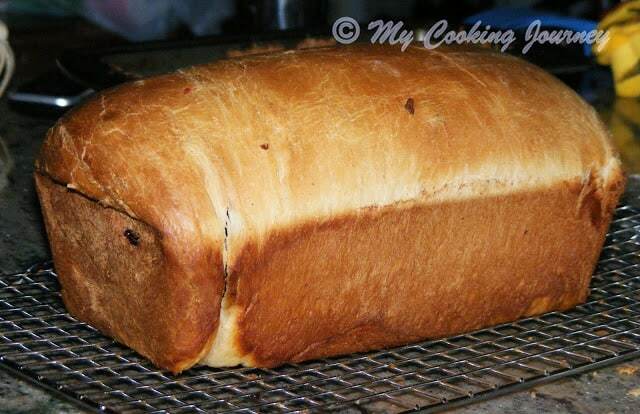 Making this bread at home is no where different from baking a regular loaf of bread. It just requires a couple of extra ingredients. Long back I had bookmarked this recipe from the Pioneer Woman’s website and I have wanted to make it forever since then. So this is the recipe I chose to make for the month long marathon under the alphabet ‘C’ and under the theme baking. 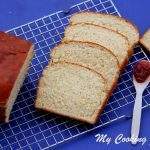 This recipe does involve some prep time and rising time like other bread baking recipes require. The only change I have made from the original recipe is that, I have incorporated the raisin in the dough rather than layering it. This way I figured that when slicing the raisins would not be falling all around me. 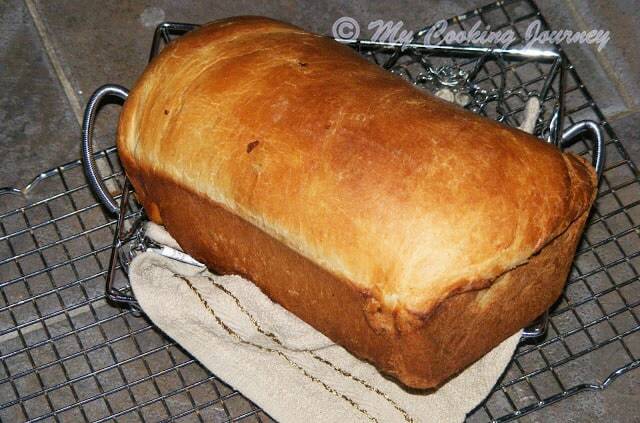 When the bread was in oven, the whole house smelled heavenly with the sweet aroma of cinnamon. 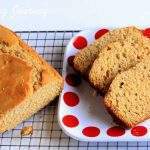 This is a sure keeper recipe and you will love it if you are a sweet bread person like me. All this bread needed was a dollop of salted butter and eager mouth. Bring the eggs out and leave it in room temperature for at least 30 mins. Combine the flour with the salt and leave it aside. Melt the butter with milk in a small sauce pan. 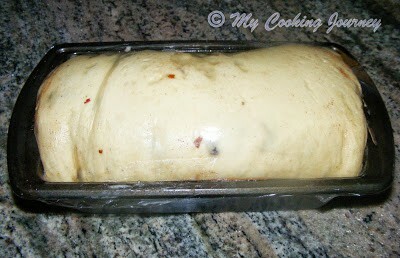 Let it cool down until it is warm to touch and then add the yeast to the mixture. Gently stir and let it stand for about 10 mins. 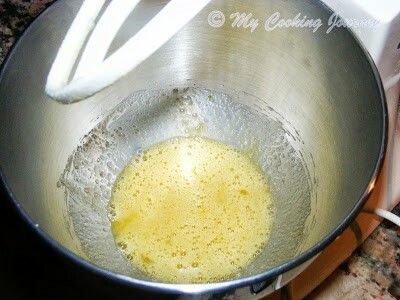 Add the eggs and the 1/3 cup of sugar in a bowl of electric mixer with the paddle attachment and mix until well combined. 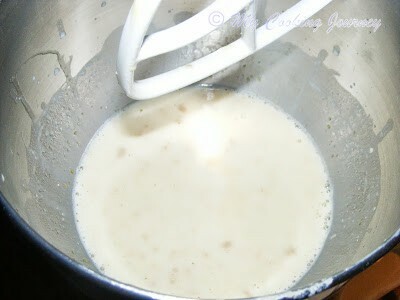 Now add the yeast-milk-butter mixture and stir to combine. 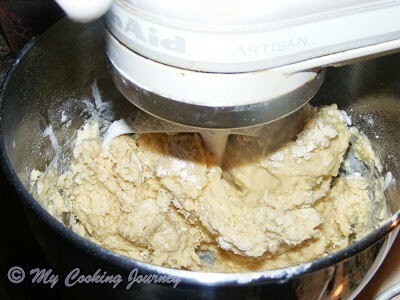 Add the flour/salt slowly in the mixer and mix to combine. The dough will be a little sticky at this stage. 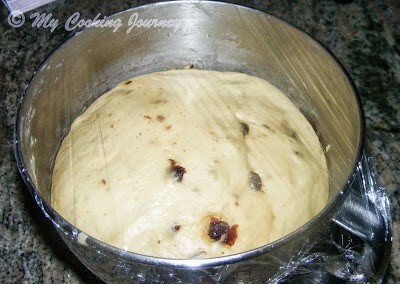 At this stage add the raisins as well. 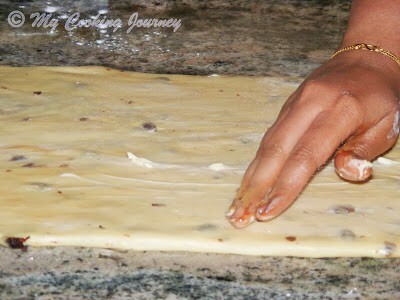 Now change to a hook attachment and knead the dough for at least 10 mins. . 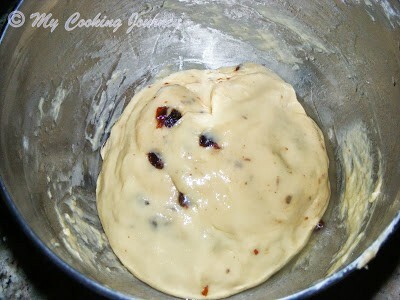 If the dough appears a bit sticky even now then add a ¼ cup more flour and mix again. Knead for 5 more mins. 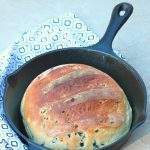 Transfer this dough to a well oiled bowl and keep it covered in a warm draft free place to rise. This could take up to 2 hrs. 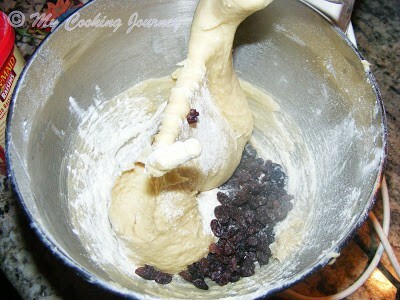 Once the dough has risen to at least twice its volume, bring it back to work surface. 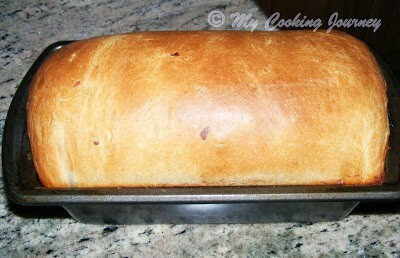 Roll into a neat rectangle about the width of the loaf pan you are using. Roll it to 24 inches long. Smear the surface with about 2 tbsp of softened butter. 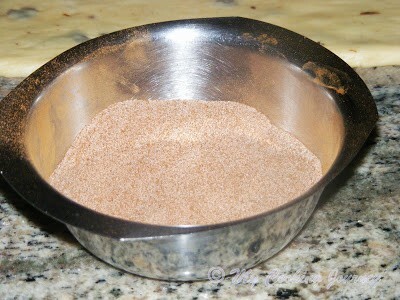 Mix together 1/3 cup of sugar and cinnamon in a bowl. 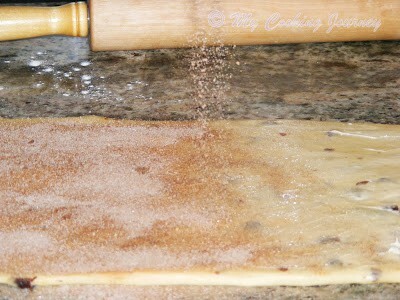 Now sprinkle this sugar mixture evenly over the dough surface. 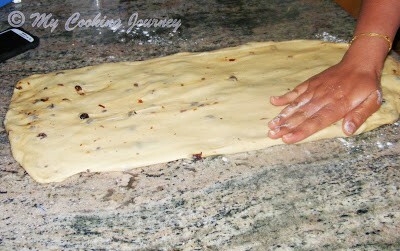 Starting at the far end, start rolling the dough tightly towards you. Form a nice tight roll when rolling. Pinch the seams well to seal. 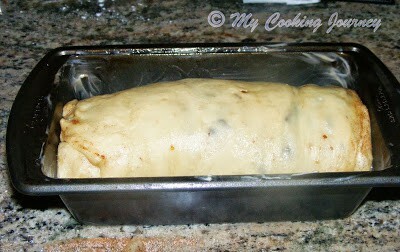 Smear the loaf pan liberally with butter and drop this rolled dough seam side down into the pan. Cover with plastic wrap and let it rise again for at least 2 hrs or until double. Preheat the oven to 350 F. Get the egg wash ready. 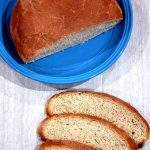 Brush the top of the risen loaf with the egg wash and bake for 40 mins or until nicely browned and the bread sounds hollow when tapped. 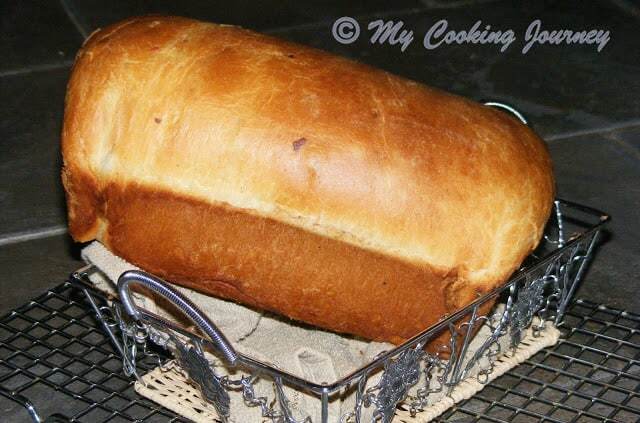 Remove the loaf from the pan and let it cool entirely before slicing. Serve with a dollop of salted butter and you would be heaven! 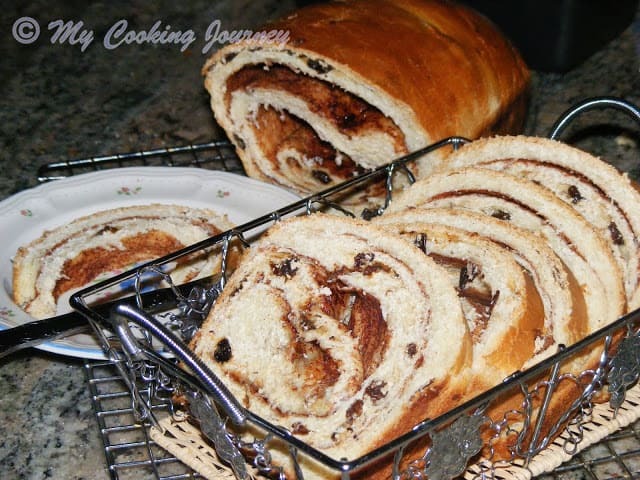 Oh wow..lovely roll I am loving the roll with all the swirls.those step by step pics will make it easy to prepare. Looks amazing Sandhya..that's lot of work and such a beautiful piece of work! addition of egg must have made the bread super soft. I loe anything with cinnamon. 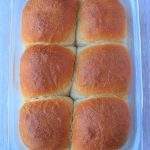 Will try this bread with eggs. wow thats a master piece sandhya lovely so much patience u had to make it.so nice.I want to get that mixer too but dont know how useful they are. 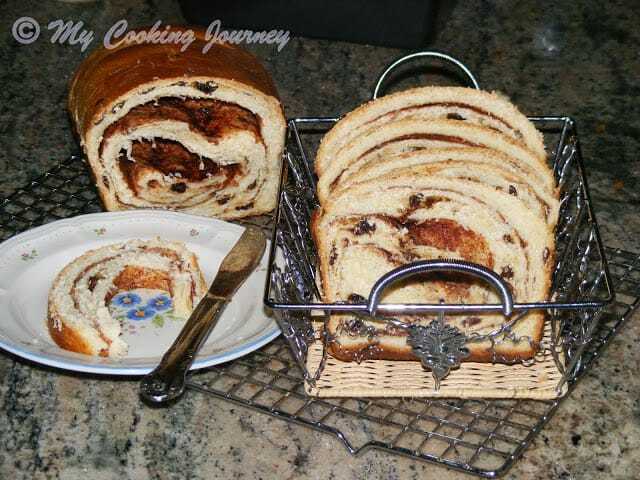 Bread looks with prefect swirls..Cinnamon and raisin combo never goes wrong in bakes. 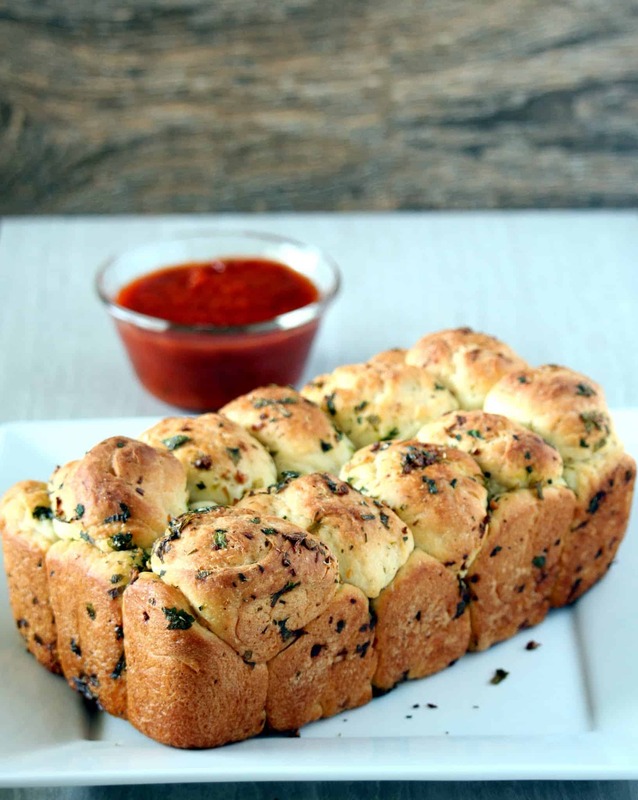 oooh….love the flavour in this bake…looks super delicious!!! 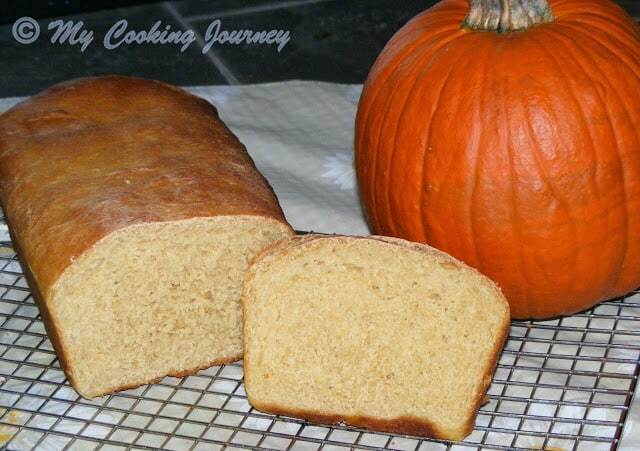 So soft and delicious with flavors of cinnamon. 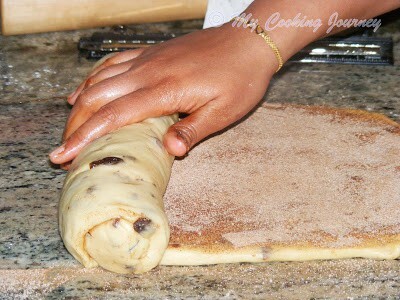 Cinnamon raisin is one of my favorite too, but rarely buy because of the high cost. I made it a looooong time ago and your post reminded me of how good homemade one tastes. Will have to make it again. I have been wanting to do this for a long time. I will give your recipe a try very soon. Looks wonderful. 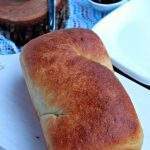 Cinnamon is so great in baked goodies… gives a fantastic aroma and mild sweet taste!!! as u have said.. the whole house would smell heavenly with cinnamon!! Looks amazing ..I love the bread! I am not a fan of cinnamon but the swirls look so good! 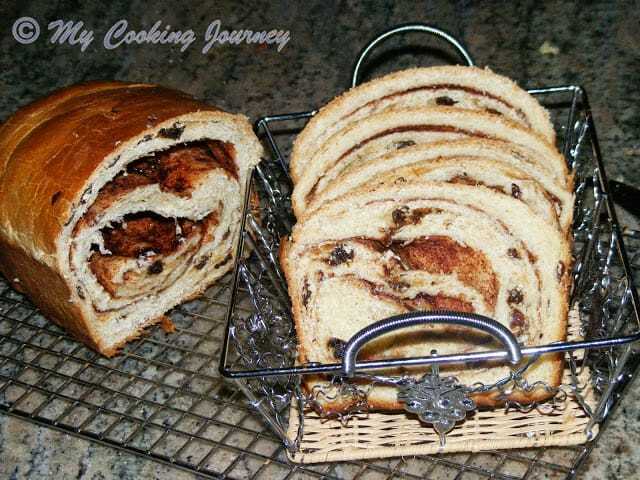 The bread looks yummy…u made it really good could make it from the pics….Nice recipe shared..
Cinnamon – raisin loaf had risen beautifully and it looks amazing. Wow looks delicious. I ma bookmarking it. 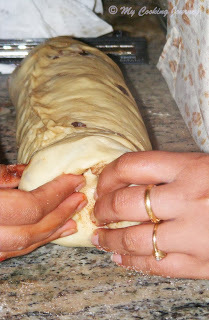 Awesome bread and love the way you made.. Came out perfect i used dates and jaggery for filling. 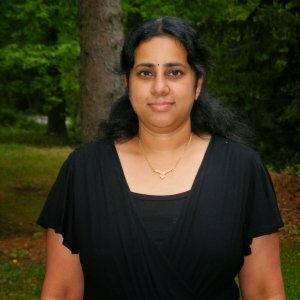 Thanks Srilatha for the feed back. Dates and jaggery sounds so good and I am so glad that the recipe worked well.